Epitomizing the classic look of a medieval knight, the Traditional Knights Full Suit of Armor is a wearable set of fine steel armor that emulates the legendary styling of Milanese master armorers from the early 16th century. This magnificent suit of armor displays the signature sleek steel plates of these craftsmen and an exquisite men at arms style helmet with working visor and vertical breathing vents. Accompanying this wondrous armor set is a beautiful steel longsword which is displayed in a small metal scabbard that connects to the included wooden display stand. This sturdy pedestal provides the means for the spectacular display of this masterpiece. 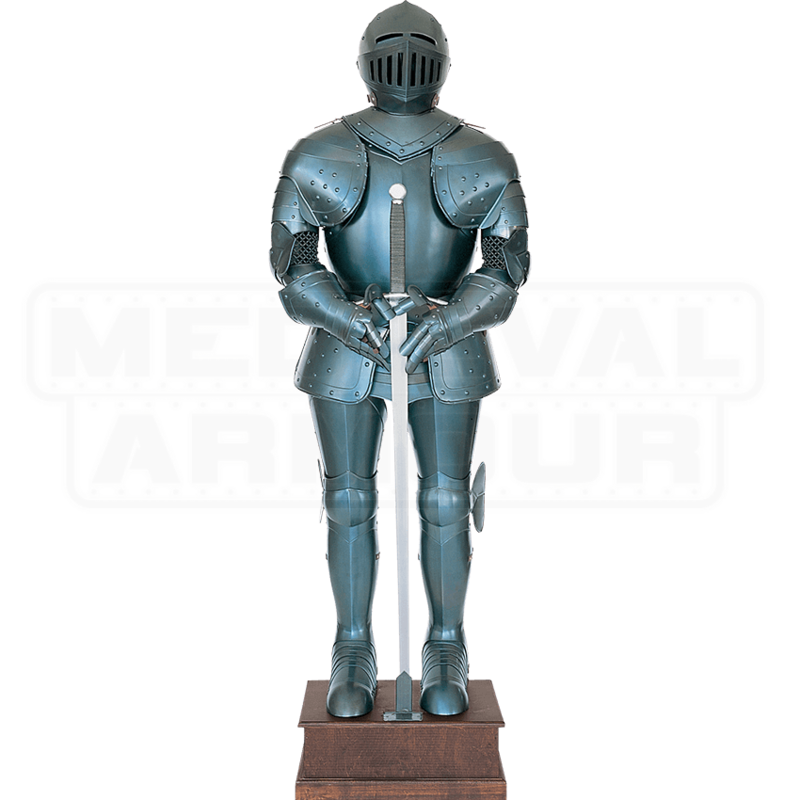 The suit of armor is handcrafted in Italy in a superb likeness of the models made in the medieval era. 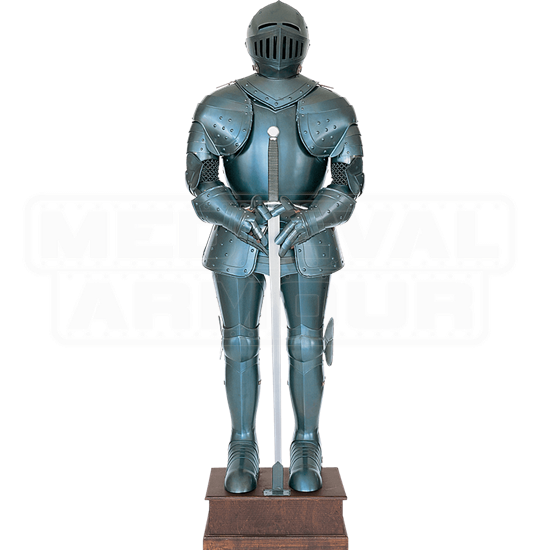 During the 1500s a set of Italian armor in this design would have been commissioned for rich nobles or prominent captains throughout Europe and now you can share in their experience with the Traditional Knights Full Suit of Armor.